Did the animation on these promofilms together with Raymond van Es. A bunch of these were made. Some of the films are below. 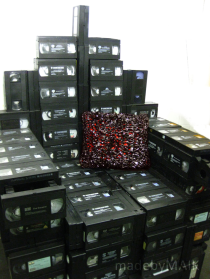 Chair made out of more than 400 VHS tapes.